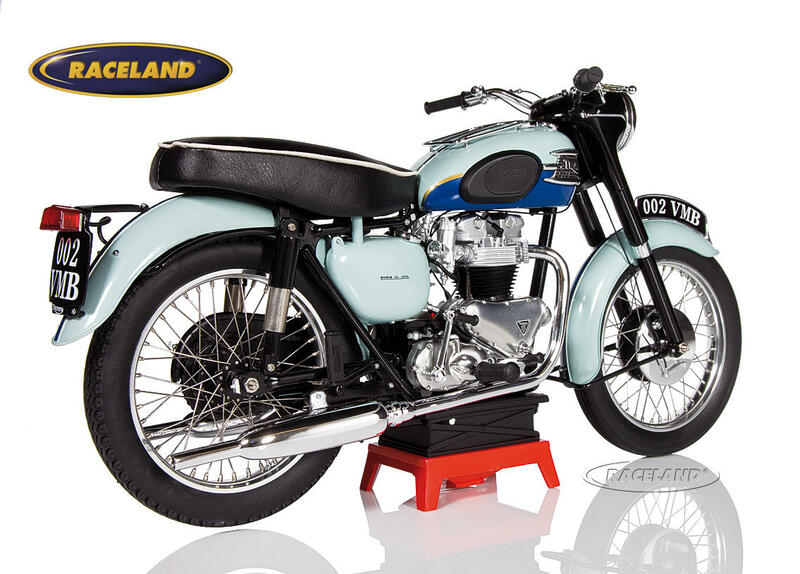 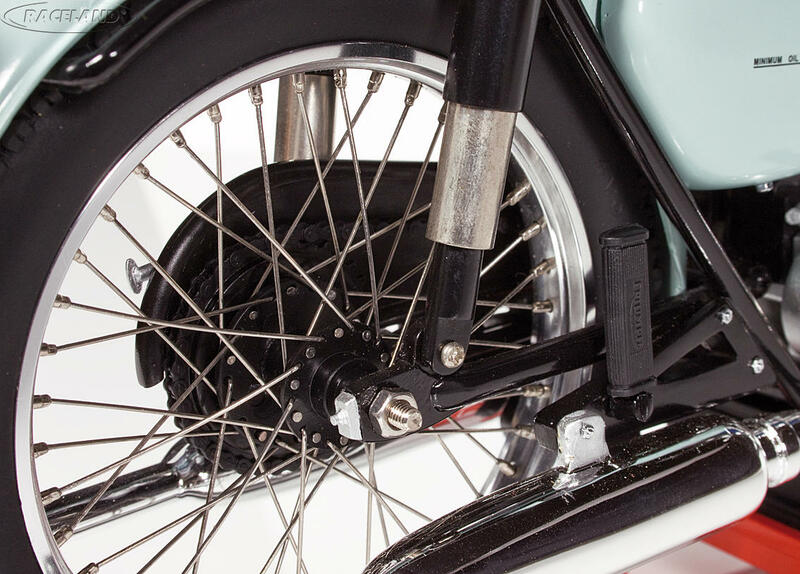 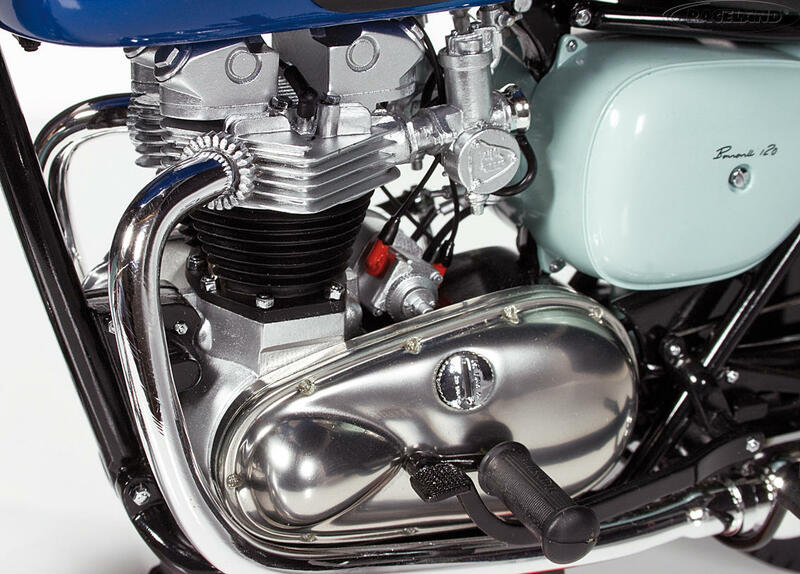 The product "Triumph Bonneville T120 650cc 1959 Blue" was successfully added to your wishlist. 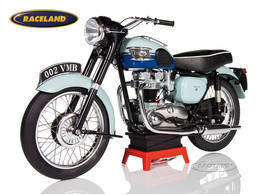 VMB Vintage Motor Brands 1/6th scale. Limited edition of 200 pieces, individually numbered with certificate. Super detailed resincast motorcycle model with metal and plastic parts in XXL 1/6th scale. Model size approximately 35 cm.